One of the great avenues for exploring the barely contained exuberance, rage, joy, and other bundled-up emotions let loose by a particularly great song is the mosh pit. 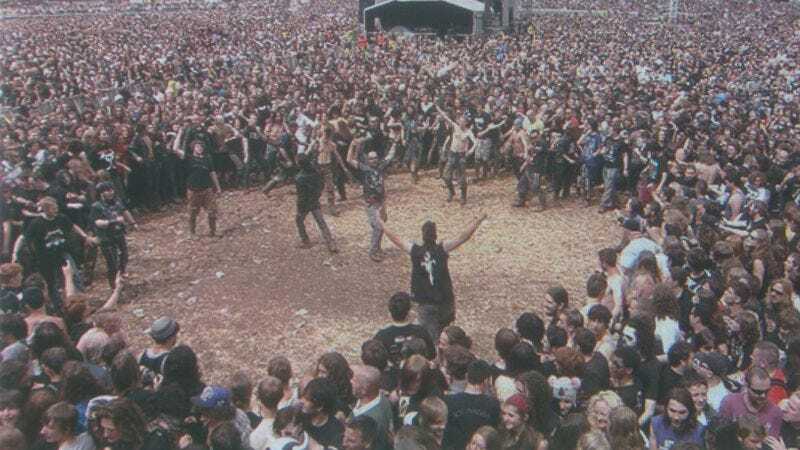 A primal expression for concert attendees, moshing finds people slamming into one another but also helping each other along, to ensure no one is too hurt while forming its own little tribe of controlled chaos. This most human of outlets would be perfectly suited for a physics-based computer model. Users can learn more about the material used to collect this data, along with how the team created their model, by visiting Cohen’s group website. Or, if you’d rather watch a bunch of black and red dots smash into each other like frenetic bouncey balls while listening to Slayer on an iPod, then simply head over to the simulator and craft the perfect mosh pit.